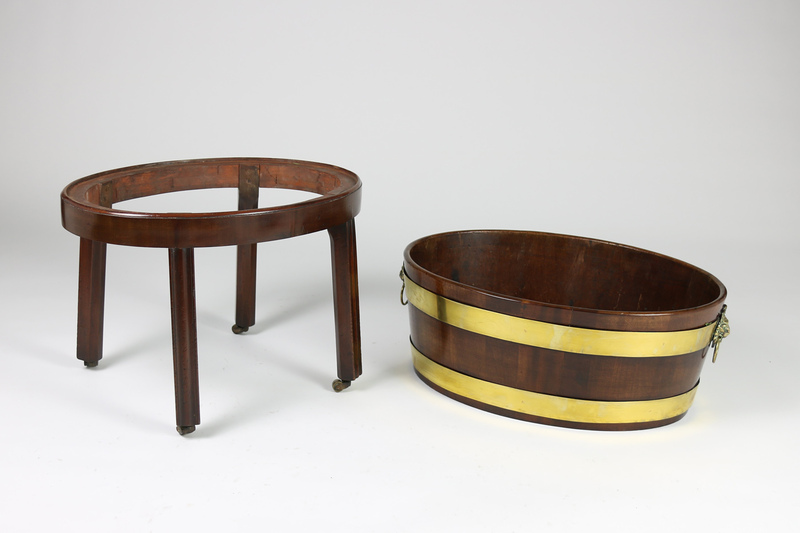 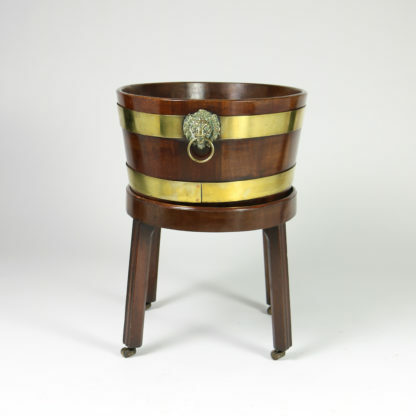 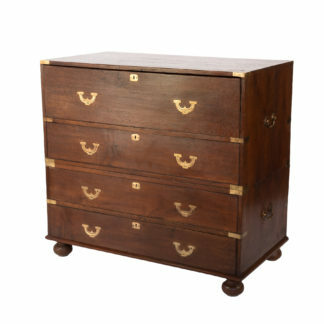 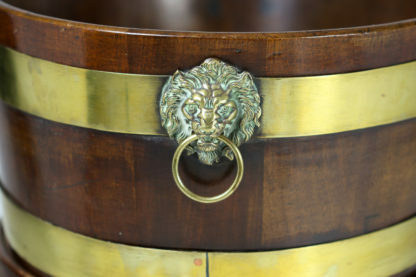 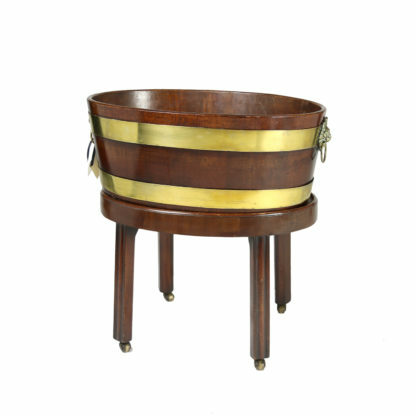 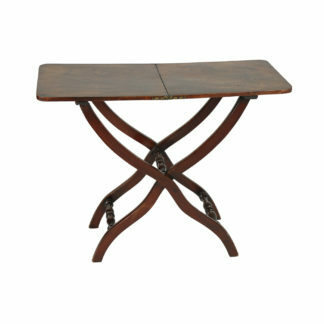 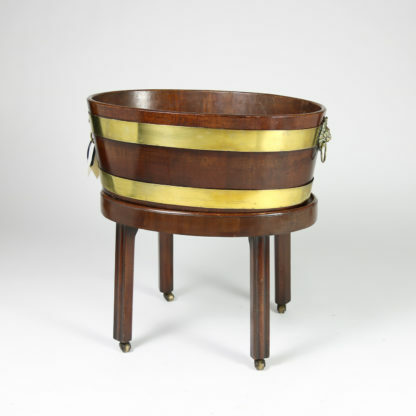 An oval English Regency brass bound mahogany wine cooler on later mahogany stand with square legs and brass casters, with two brass lion head pull rings, copper insert English circa 1830.
height: 24 in. 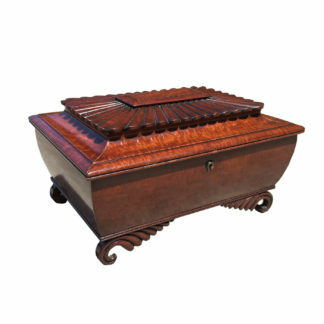 61 cm., width: 24 in. 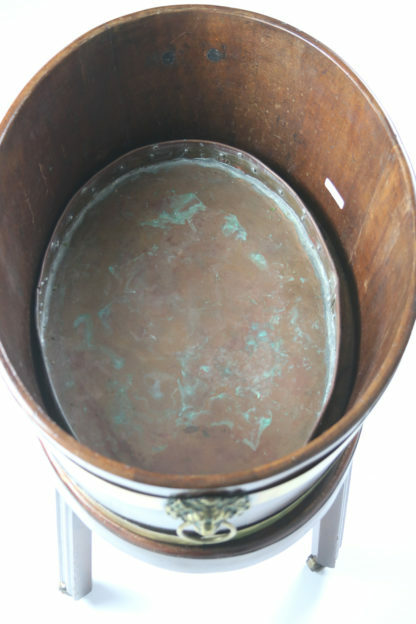 61 cm.. depth: 18 in. 45.75 cm.